The St. Louis Cardinals system went 3-3 on Wednesday. Player of the Day Dakota Hudson threw eight shutout innings in Memphis’ road win. Behind quality starts of their own, Springfield and Palm Beach also took key first-half race victories. Recaps from games played on Wednesday, June 13. With quality pitching and offensive contributions throughout the batting order, the Redbirds won Wednesday’s contest in Albuquerque, 11-0. Memphis starter Dakota Hudson, our Player of the Day, twirled eight shutout innings. The top prospect earned his eighth win of the year to improve to 8-2. In his outing, Hudson limited the Isotopes to four singles and struck out six. Landon Beck pitched a scoreless ninth. 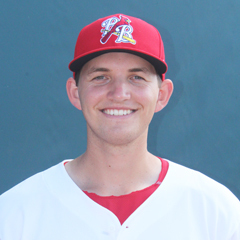 The Redbirds smashed five home runs, including two from left fielder Tyler O’Neill. With the pair of long balls, O’Neill has 15 at the Triple-A level this season. First baseman Rangel Ravelo, right fielder Adolis Garcia, and third baseman Patrick Wisdom each went deep once to highlight Memphis’ run production. Thursday’s game: Kevin Herget (3-5, 3.46) at Albuquerque Isotopes, 7:35 PM Central time. Three runs in the bottom of the seventh helped propel the 32-33 Cardinals to a 4-3 win over the Travelers and remain one game back in the first half division race with four contests remaining. Tied at one thanks to Luke Voit’s solo homer in the fourth, Springfield shortstop Edmundo Sosa collected two RBI with a two-out double to left field. A throwing error on the play allowed a third runner, Chris Chinea, to score all the way from first to become the go-ahead run. Arkansas scored a run in the top of the first inning and two in the eighth. Cardinals starter Anthony Shew tossed seven innings of one-run ball to improve his record to 5-2. Reliever Jacob Evans allowed two runs in the eighth before Ian McKinney logged a scoreless ninth to pick up his first save of the season. 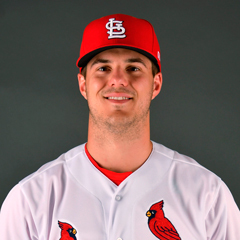 Thursday’s game: Matt Pearce (0-1, 1.80) vs. Arkansas Travelers, 7:10 PM Central time. The Miracle scored six runs in the game’s final three innings, but Palm Beach came back with four in the eighth to win Wednesday’s game, 7-6. The victory extended the Cards’ first-half lead to 2 ½ games. Cardinals starter Ian Oxnevad turned in seven frames and allowed just two runs. Relievers Jacob Patterson, Will Latcham (Latcham’s record improved to 2-2 after taking a blown save), and Austin Sexton were each scored upon across the top of the seventh, eighth, and ninth innings, but Junior Fernandez charted his second save of the year as he collected the final out. Palm Beach left fielder Dylan Carlson was 3-for-4 with a triple, two runs scored, and three runs batted in. Third baseman Danny Hudzina had two hits, one RBI, and one run scored. Center fielder Chase Pinder had two RBI and right fielder Johan Mieses drove in one. 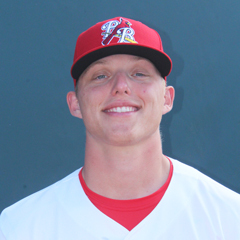 Thursday’s game: Casey Meisner (3-1, 4.04) vs. Fort Myers Miracle, 5:30 PM Central time. Early offense against Chiefs starter Johan Oviedo led the Snappers to a 4-3 win over the Chiefs in Peoria. The Chiefs are one-game back of the first-half division lead and tied for the wild card. The Snappers led off when three runs in the first inning before the Chiefs scored two. Peoria tied the score with a run in the third, and Beloit captured the lead for good with a tally in the fifth inning. Oviedo allowed all four runs (three earned) across five innings as his record dropped to 2-6 this season. C. J Saylor followed with three scoreless frames, and Kodi Whitley posted a zero in the ninth. Three Chiefs had two hits: third baseman Elehuris Montero, catcher Dennis Ortega, and right fielder Scott Hurst. Montero drove in one, and Hurst knocked in the other two runs. Montero, left fielder Nick Plummer, and second baseman Irving Lopez each scored a run. The Chiefs combined to go 4-for-12 with runners in scoring position and stranded six runners on base. 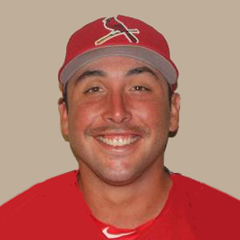 Thursday’s game: Alex Fagalde (1-2, 2.76) vs. Beloit Snappers, 7:00 PM Central time. With run support to pair with a solid outing from their starter, the Cardinals Blue defeated the Mets 1 by an 8-4 final score. Starter Hector Soto earned his second win in as many decisions this summer with 5 1/3 innings. Soto allowed one earned run on seven hits and a walk as he fanned six Mets batters. After relievers Larimel Soriano and Josue Ramirez each logged 1 2/3 innings, Saniel Santana recorded the final out of the contest on a strikeout to secure the win and his first save. Although the team was just 2-for-11 with runners in scoring position, the Cardinals managed to double up the Mets in the run column. Shortstop Darlyn Del Villar walked twice and scored three runs, including one on his first professional home run. Left fielder Diomedes Del Rio had two walks and scored twice, and center fielder Carlos Soler and designated hitter Freddy De Jesus each batted in a run and scored a run. Thursday’s game: at DSL Yankees, 9:30 AM Central time. With three runs in the eighth inning, the Tigers 1 stunned the Cardinals Red with a 4-3, comeback victory. After Wilfredo Pereira pitched seven innings of one-run (the run was unearned) ball for the Cardinals, Jose Geronimo surrendered three runs – all earned – on three walks in the bottom of the eighth inning. The Tigers captured the lead with the three-run rally and hand Geronimo his third loss in as many decisions this year. Cardinals third baseman Francisco Hernandez was 2-for-3 with a triple and two RBI, and shortstop Sander Mora, center fielder Adanson Cruz, and right fielder Luis Montano scored a run apiece. Hernandez has batted in six runs this season. Thursday’s game: vs DSL Rangers 2, 9:30 AM Central time.